How will the topics Chatbots and Artificial Intelligence develop in the future? And how can companies make use of these technologies today? 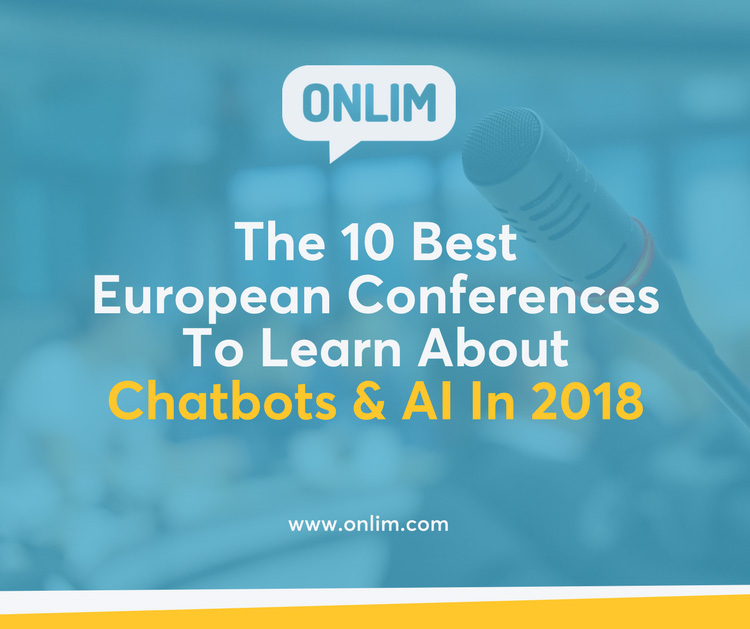 We will give you an overview of the most important conferences in Europe to meet industry experts, get hands-on approaches to using bots and AI solutions, and catch a glimpse of future developments. How can AI-based technologies be used to shape the future? At AI Expo, industry experts meet to discuss the latest trends and present their technological developments. Chatbots will be in the focus of the discussions. For example, you can learn about things to look out for while building a conversational bot or listen to experts discussing the future of chatbots. Website: You can find more information about the AI ​​Expo here. The Conversation Commerce Conference offers a comprehensive program on intelligent assistance and authentication. For example, there is a talk by the supermarket chain Lidl about the use of chatbots or a beginner’s seminar, for everybody who wants to familiarize themselves with the subject of chatbots and personal assistants. Website: You can find more information about the Conversation Commerce Conference here. This event is a good choice to get an overview of Artificial Intelligence. In addition to various keynote speeches on future developments, there will be sessions in which well-established companies such as Airbus or SAP will talk about their experience with AI. Furthermore, there will be a stage for startups where the founders of interesting AI startups will present their ideas. Website: You can find more information about the Rise of AI here. The Cebit is an internationally known event that offers its visitors a comprehensive program on a variety of topics related to innovation and digitalization. Especially, the combination of conference, exhibition and festival makes this event interesting. One focus topic of the event is AI. So, it can be assumed that there will be many exciting lectures on Artificial Intelligence and Chatbots. Website: You can find more information about the Cebit here. The AI ​​Summit promises its visitors hands-on sessions that help companies establish AI technologies. The combination of conference and exhibition gives a broad overview of what is already possible with the help of AI. Website: You can find more information about the AI Summit here. How will chatbots develop in the future? If you want to study the possibilities of bots and meet the creators of the bot economy, this event is the right one for you. Website: You can find more information about the Chatbot Summit here. This event offers a clear focus on the potentials of Data Analytics, AI and IoT for businesses. Speakers include Ian Wallis, Director for Mobile and Intelligent Bots PaaS at Oracle, and Conrad Wolfram, Strategic Director at Wolfram Research. Website: You can find more information about the Machina.Summit.AI here. The World Summit AI has a clear focus on hands-on lectures and case studies to help companies implement AI solutions. In addition, in-depth techtalks give a broader insight into the world of Artificial Intelligence. Website: You can find more information about the World Summit AI here. This conference promises to deep-dive into AI and Machine Learning beyond the hype. Participants will receive valuable tips on tools and approaches to implement AI and Machine Learning projects. Furthermore, you can discuss the benefits and dangers to business and society. Website: You can find more information about the Minds Mastering Machines here. Website: Find more info here. The Web Summit is one of the largest tech conferences in the world. Without a doubt, sessions about chatbots and AI can’t be missing here. Although the session list is not published yet, the speakers’ list guarantees exciting sessions to look forward to: For example, Xabi Uribe-Etxebarria will speak at the event. He is the CEO of Sherpa, a Virtual Personal Assistant based on AI algorithms. Another interesting speaker is Jean Liu, president of the AI-based ride-sharing platform Didi. Website: You can find more information about the Web Summit here. The Insurance AI & Analytics Europe Summit will all be about discussing how AI and advanced analytics can be utilized to deliver unparalleled performance, business growth, and truly actionable insights. Website: You can find more information about the Insurance AI and Analytics Europe here. 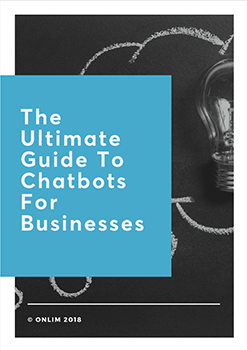 Are you interested in implementing a chatbot for your business? Check out Onlim’s customized chatbot solutions and request a free demo call.